Poland's President Andrzej Duda has dismissed Polish Ambassador to Ukraine Jan Piekło as of January 31, 2019. 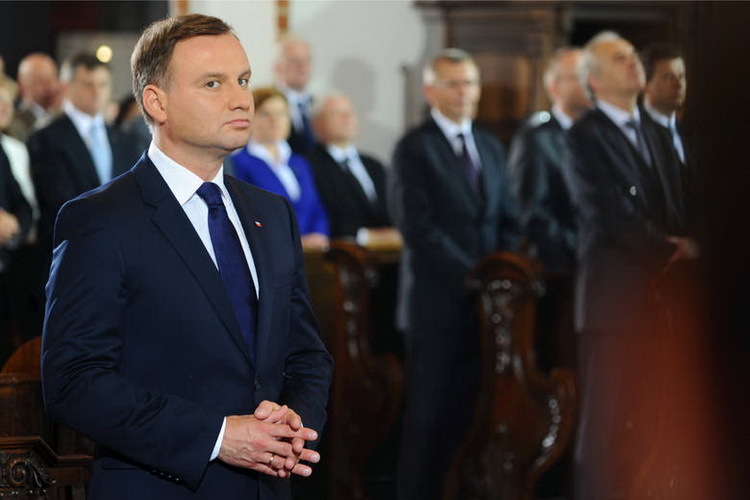 The president's decision dated December 4, 2018, was also signed by Polish Prime Minister Mateusz Morawiecki, Radio Poland's Ukrainian Service reported with reference to Monitor Polski, a publication of the Prime Minister of the Republic of Poland. Piekło has been head of the Embassy of the Republic of Poland in Kyiv since 2016. According to Special Envoy of the President of Poland, Secretary of State at the President's Chancellery Krzysztof Szczerski, the dismissal of the ambassador, which took place based on the motion submitted by Polish Foreign Minister Jacek Czaputowicz, "has nothing to do with the assessment of Polish-Ukrainian relations." "The rank of the Polish representation in Kyiv is planned to be increased. I hope the Ukrainian side will quickly accept a successor, and then this change will be smooth," he said. Prior to the appointment as ambassador, Piekło was a journalist and an expert associated with organizations that deal, in particular, with Polish-Ukrainian cooperation: he was director of the East-West Bridges in Krasiczyn and director of PAUCI Foundation for Polish-Ukrainian Cooperation. In the past, Piekło was also editor of the Forum e-magazine on the dialogue of cultures, and in 2011-2013, he was a member of the Steering Committee of the Eastern Partnership Civil Society Forum at the European Commission. Karol Modzelewski "The seed of authoritarianism has sprouted in the minds of Eastern European peoples due to frustration with liberal democracy"